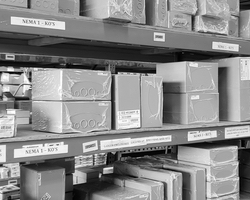 LiveWire Supply is the one-stop destination for all of your electrical requirements, ranging from circuit breakers, load centers, and other key power distribution equipment. We carry new and refurbished products from the top brands, such as Cutler Hammer, GE, Siemens and Square D.
LiveWire Supply stocks low voltage, medium voltage and high voltage circuit breakers for any application. We have all of the most common series breakers available across multiple warehouses in the USA. We also carry the hard to find and obsolete breakers to help you with that retrofit and replacement project, new construction, or just to put a spare on the shelf. 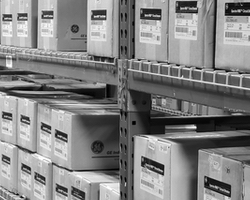 Since we ship directly from stock, LiveWire Supply provides almost zero lead-time and extremely fast turnarounds. We have flexible shipping options including same day and international shipping to handle any requirements on short notice. Use our filter tools, email or text us a picture of what you need, or give us the panelboard information and we will be glad to help you get the right circuit breaker for the job.